Rating: 4.5/10. From 34 votes. Summary: The description, specs, pricing, photos and user ratings for the Ed Brown Alpha Carry pistols. 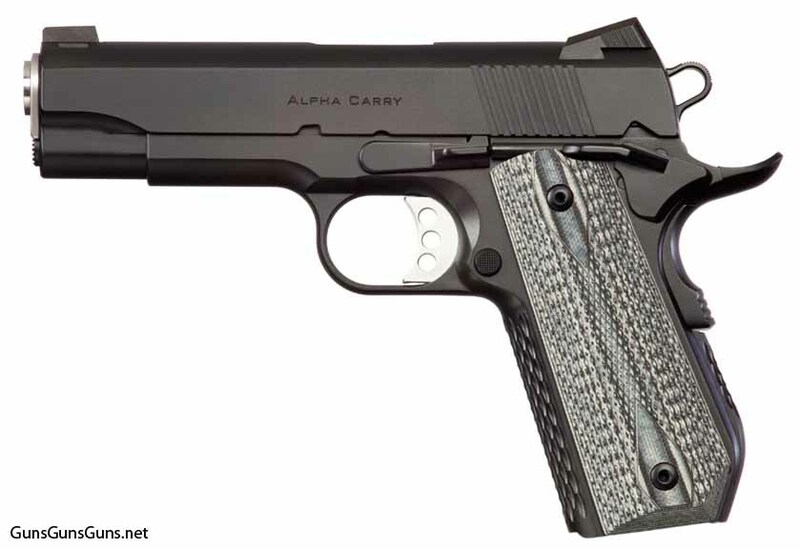 The Alpha Carry with the black finish. fixed, dovetailed, three-dot night sights with high-visibility outlines. 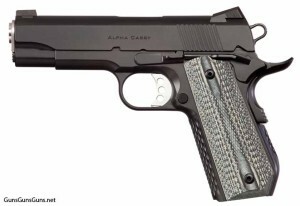 You can get the Alpha Carry with either a stainless steel finish, or a black Gen4 coating for low glare, rust protection and improved wear resistance. The Alpha Carry with the stainless finish. 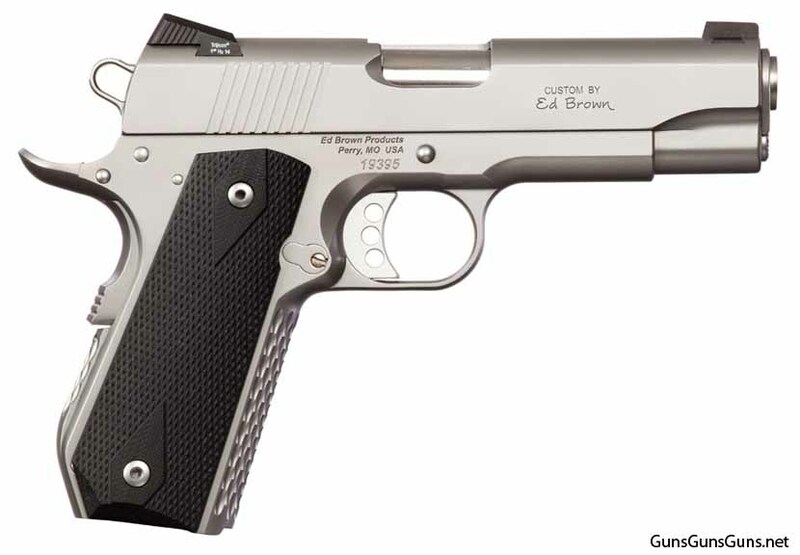 This entry was posted in .45 ACP, $3,501-$4,000, 1911, Ed Brown, Full size, Semiauto on July 6, 2015 by Staff.